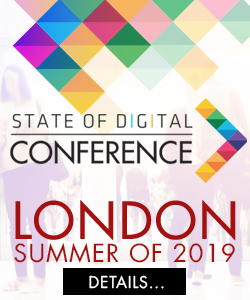 State of Digital’s very own Barry Adams is running a full day masterclass! Ideally, you will have a decent grasp of the basics of SEO, such as keyword research, on-page SEO, and link building. After completing this training, you will be equipped with the knowledge, insight, and vocabulary to deal with technical SEO challenges. We’re hosting this event at the amazing etc.venues County Hall. That’s a full day starting at 9:30am and finishing at 4pm pm on Tuesday 9th October 2018. The day AFTER the State of digital conference. Barry Adams SEO Consultant, Public Speaker & Educator, Specialist in News SEO & Technical SEO. Barry is an award-winning SEO consultant specialising in technical SEO for news publishers and ecommerce websites. He’s been building and ranking websites since 1998, and has worked with a wide range of clients from micro-businesses to the world’s largest media companies. Barry enjoys sharing his search engine optimisation knowledge and experience with the wider industry; he delivers annual guest lectures for local universities, writes a regular column for Search Engine Land, and is chief editor at popular European marketing blog State of Digital. Sounds like my kind of guy – What will Barry be covering? For websites to perform well, their technical side now matters more than ever, but we know it’s often overwhelming and challenging due to its complexity. To grow your organic search presence, you need to master technical SEO foundations and truly understand search engine processes such as crawling, indexing, structured data and canonicalisation. Sounds like a lot of content – will we get any breaks for the brain to recover? One-to-one advice. We’ve packed in plenty of time for quality conversations and keeping the number of attendees strictly limited. Meals provided. This means a delicious catered breakfast, lunch and afternoon tea over the course of the entire masterclass. An endless supply of caffeine. What would digital be without coffee/tea? There will be multiple breaks throughout the event to ensure you keep energised. Why not attend the full conference the day before and save £100 using the bundle option below.